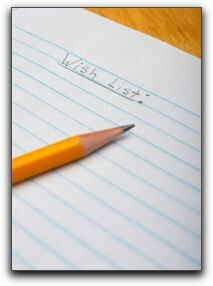 What Is On Your Dental Wish List? A cosmetic dental consultation is informative and enjoyable. As the patient, you’ll have the opportunity to describe your goals and expectations. If this is your first visit to the practice, you’ll discover whether you feel comfortable with our dentist and other members of the treatment team. Successful cosmetic dentistry consultations help us provide the highest level of Provo area dental care. This is the time to ask questions about possible procedures such as teeth whitening. You can look at pictures of actual Provo porcelain veneer patients and dental implant recipients. Our cosmetic dentistry patients really get excited when they see images of the possible results for their teeth. By listening effectively and asking the right questions, Drs. Hammond can fully assess the many variables unique to your needs. Drs. Hammond thoroughly examine teeth, gums and biting function. Complete x-rays are taken. Existing dental work, tooth color, tooth alignment, and gum condition are taken into consideration. Medical history and lifestyle are also important considerations. Provo cosmetic dentistry costs are outlined. Taking the first step to learn is your key to understanding your options and preparing to make decisions. Learn about the possibilities for your smile at Hammond Aesthetic & General Dentistry: give us a call at 801-374-0070. Dr. Chris Hammond, DMD has been recognized as one of the top Provo Dentistry practices. Provo dentist Dr. Chris Hammond provides a unique and comfortable patient experience in all aspects of dentistry including cosmetic dentistry, dental implants, sedation dentistry and much more with 5-star service. He serves patients in Provo and Orem, Utah and the surrounding American Fork, Lehi, Highland, Alpine and Utah County area.